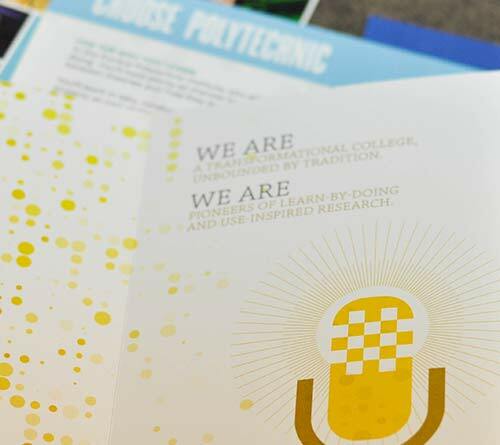 Every web page, publication and promotional item that represents the Purdue Polytechnic Institute helps tell our story. That story and brand, as part of the larger Purdue University brand, is stronger and more compelling when there is consistency in graphics, fonts, colors and messaging. This site provides tools and guidance to help you share our story of transformation and innovation in higher education.